Soft bottom with silt; no obstacles. Lots of lilies. 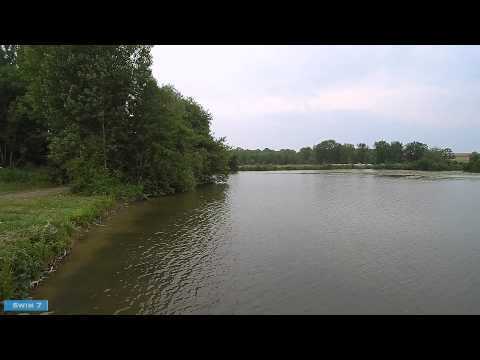 "lovely place need to remove some sturgeon and bream to many in the lake." "We all had a good week fishing, although we didn't all catch a carp, only sturgeon." "Plenty of sturgeon. And will go back .baliff was superb and vey helpful. " "Been twice and it’s a great venue. Well kept, peaceful and friendly place. There’s some nice fish in the lake. Booking process is simple with plenty of info on website." 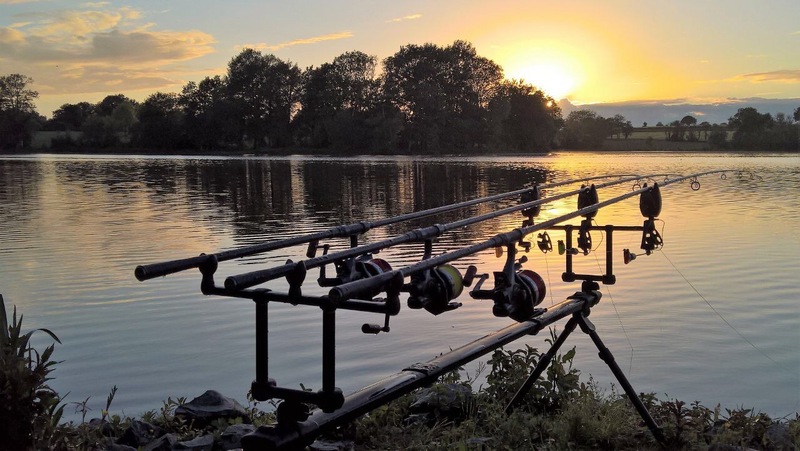 "A really lovely venue-plenty of fish and a nice easy drive from the UK -definitely not an easy venue though which was a pleasant surprise from the carp puddles that are so easy to get sucked into. Georget the bailiff is nice and very helpful and other anglers very friendly. Supermarkets 10 minutes away and facilities good-recommend it for the experienced angler who knows how to use a boat and motor. I was on swim which is very difficult due to the mud and depth of the bank but overall a great holiday. " "Bailiff was not on site for arrival time as stated in the rules, nor did he arrive at the agreed time for our departure. Fish quality excellent, good weights and in good condition, but it is definitely a night runs water as we were told on arrival. This should be mentioned, in your description. Also swims 1&2 could affected by noise from the house on site, we were subject to a very noisy party on the last night, when the rules state anglers must not make loud noise, it was disgusting that the same rules did not apply to the house occupants . Finally the facilities were just about acceptable, they clearly had not been cleaned for weeks, the fridge contained food items 6 weeks past their use by date. We have returned to other of your lakes, but we would not return to La Vallee." "Happy with the trip. Nice owner and beautifull lake with good size swims. Difficult with obstacels and low carp action when cold. Would go again but later in the season. Shower and toilet facilities work well but were reasonably dirty"
"Swims need attention, lots of dangerous tree stumps and snags sticking out of the ground and snags close to the bank that could be dangerous to fish health. Overall beautiful place, will probably book again for next year." For those of you who don’t relish the idea of a long drive through France, let us introduce you to Domaine de la Vallée. At only 1hr 45mins from Calais this has to be one of the best venues for the angler who enjoys fishing – but doesn’t like driving! It’s an easy drive down the E17 toll road of only 123 miles (198km) so you’ll arrive refreshed and relaxed, ready to go! 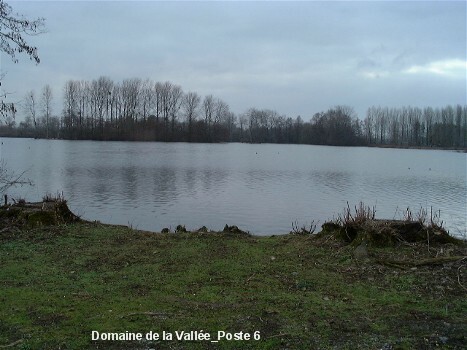 Domaine de la Vallée lies nestled in an area that is a haven for anglers. 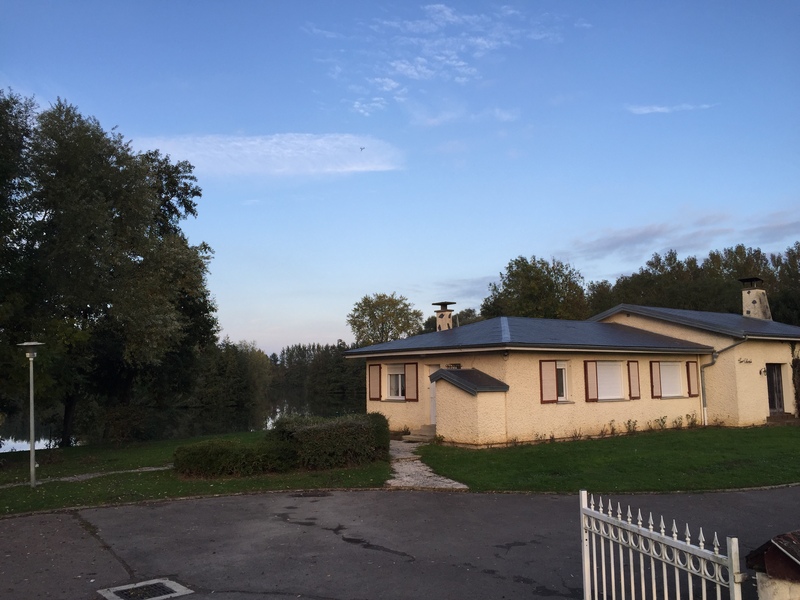 The whole area is literally full of lakes, all alongside the River L’Oise, which, along with its navigable canal, is situated just yards from the lakeside. It’s a large lake (around 1 mile long and 100 acres) and was dug out for gravel, as were most of the lakes in the area. It is overlooked by the village of Vendeuil and is surrounded by open fields full of birds and animals which make the most of the waterside environment. The lake itself is literally full of features, with islands, bays, lily pads and overhanging trees that give the fish plenty of places to congregate and the angler plenty of places to fish. This is a very versatile water for anglers, with just about every feature imaginable to fish too, a huge stock of carp up to 25kg and swims that make the most of the features the lake has to offer. Domaine de la Vallée can be booked for weekends, weeks or even just a few days so, coupled with the short travelling distance from Calais, it’s an ideal venue for shorter holiday breaks. This is a large lake but don’t be put off by its size – there are little corners to fish, islands to cast too (and fish from!) and huge beds of lilies. There are also numerous bays to stalk fish in. The lake is fed by fresh natural springs which give the water a very rich biodiversity. The northern end of the lake can be crystal clear, full of water life and alive with natural food whilst the southern end tends to have a green tinge which is caused by phyloplankton which is the basis for a good food chain for the fish. The main features of the lake are several islands, numerous bays, overhanging trees and lilly-fringed margins. The lake itself is surrounded by mature trees, willow and shrubs. The lakebed is littered with gravel bars, silt pockets and deep gullies. The water depth varies from around 18in to 12ft (0.5m to 4m). The lake itself is generally free of snags but there are submerged trees around the edge which are natural fish-holding area and there are numerous large areas of lilies. In short, this lake has just about everything an angler could wish for and choosing a swim is really hard – there’s just so many features to choose from! With 1,200 carp to fish you can be sure that no matter which swim you choose to fish from you won’t be far from some carp. The carp go up to around 55lb (25kg) but don’t think the larger carp are an easy touch, they’re not! The big carp do get caught frequently but you’ll need your wits about you to outfox them. The fish feed up on crayfish and mussels so they have plenty of natural food to feed on. The owners have re-stocked several times to ensure that the fish stocks can be classed as first rate. This is a water where bigger carp are often seen but can be quite tricky to catch. There are plenty of carp in the 15-20kg range though and blanks are rare. 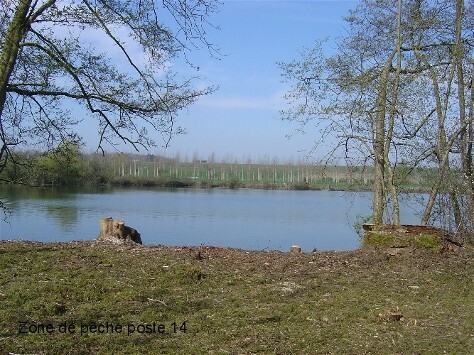 A maximum of 20 anglers fish Domaine de la Vallée each week and there are 22 swims to choose from. Swims 1 to 12 lie in the southern end of the lake (which tends to be more productive) and swims 7 to 11 are closed at various times at the end of August for duck shooting. This can be annoying to anglers but it’s only for a few hours a day. Swims 3, 4 and 5 are located on one of the islands and it’s a very interesting place to fish from, being opposite large lily beds. Swims 4 and 5 are larger than some of the others and are ideal for groups of 3 or 4 anglers who wish to fish together. Swims 1 and 2 are also spacious and offer fishing to deeper parts of the lake. Another advantage to these swims is that car parking is nearby. Swims 7 and 9 are suitable for up to three anglers whereas swim 8 is an ideal double swim. 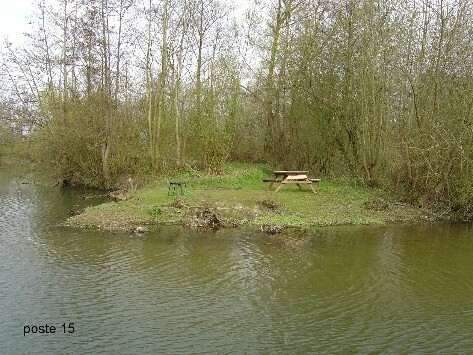 If you like to fish away from other anglers how about trying swims 10, 11 and 13, each of which are on their own islands? The swims on islands are accessible only by boat. Bait boats are allowed as is baiting up and placing hookbaits by use of the rowing boats which are available to rent or you can bring your own if you have one. If you book swim 12, you automatically also book the holiday house. The swims are all bigger than normal, have lots of various features to fish too, including some really extensive areas of lilies, gravel bars and plateau and deep, silt-lined gullies. It really is a water where there’s something to please everyone but you are advised to take a marker rod to search out the features. This is a large lake and there are several swims that command larger areas of water. There are so many different areas to fish, swim choice can be difficult. 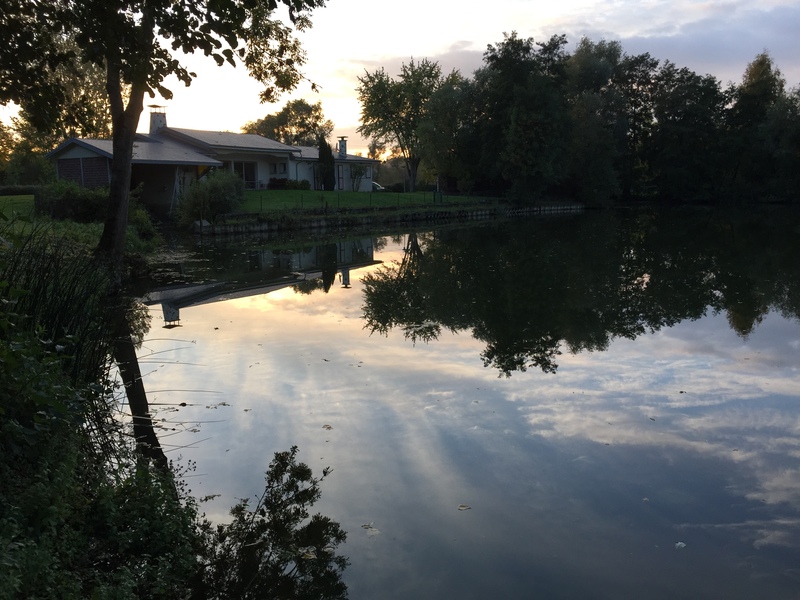 It’s well worth taking time out to walk around the lake during your stay so you can get a full picture of where the fish are if you fancy a change of scenery during your stay. Parking is on the designated car park but you can drive to your swim to unload. 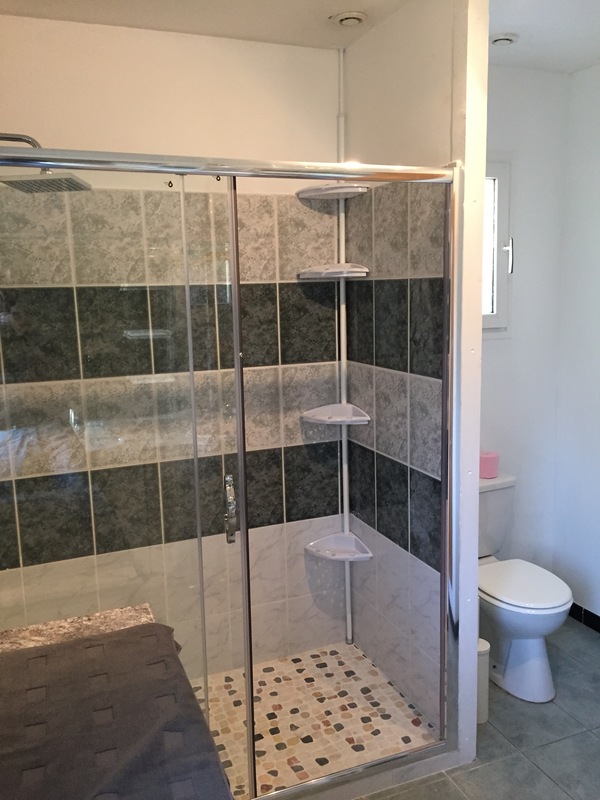 The are showers, washbasins and toilets available. There are power points for charging equipment and fridges, a freezer and a microwave oven, along with basic kitchen facilities, available to anglers. The village, which is only a short distance away has shops, bars and a restaurant or two should you fancy a trip out. 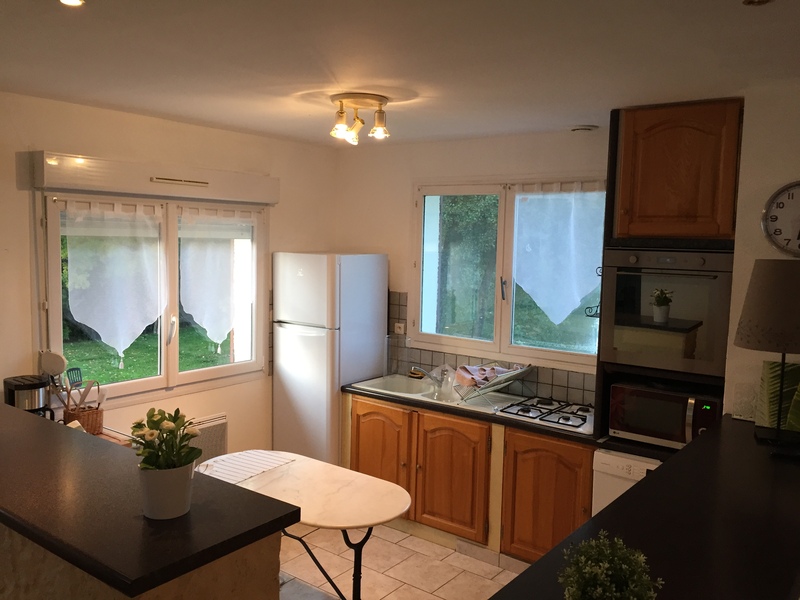 At swim 12 on La Vallee there is a house which has been refurbished in the winter of 2016 in a beautiful holiday home, with everything you need. 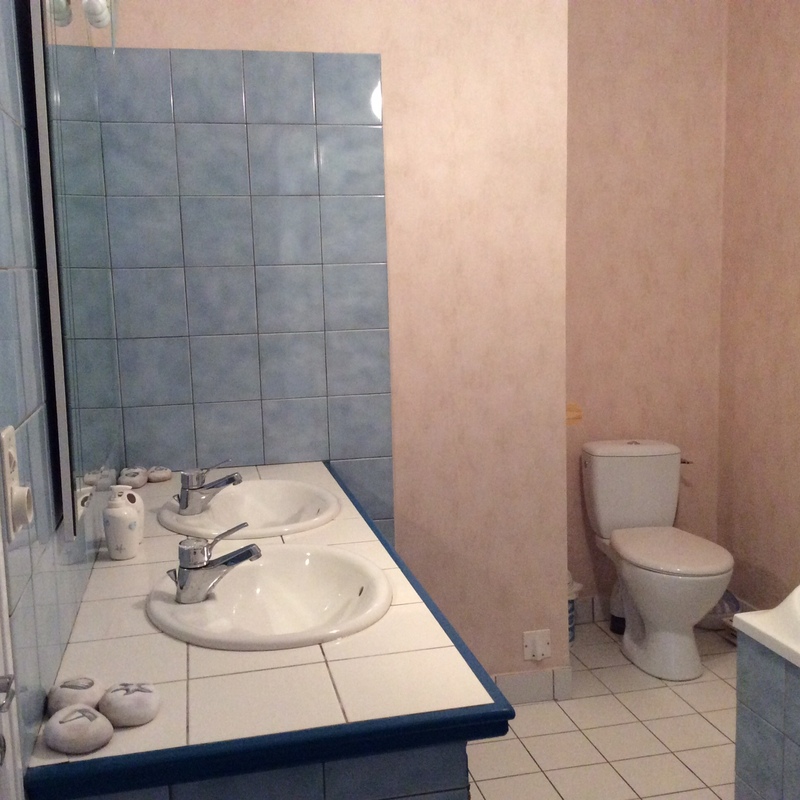 The interior has been completely rebuilt, the kitchen, the bathroom, the 2 bedrooms and the livingroom. The wifes of the owners did the decoration very tastefully. There is central heating and double glazing. From the living and the terrace you have an outstanding view on the lake. Next to the living is another big room with an open fire place, which can be used by the lessees. There is also a big terrace and a bbq, both covered by a roof. 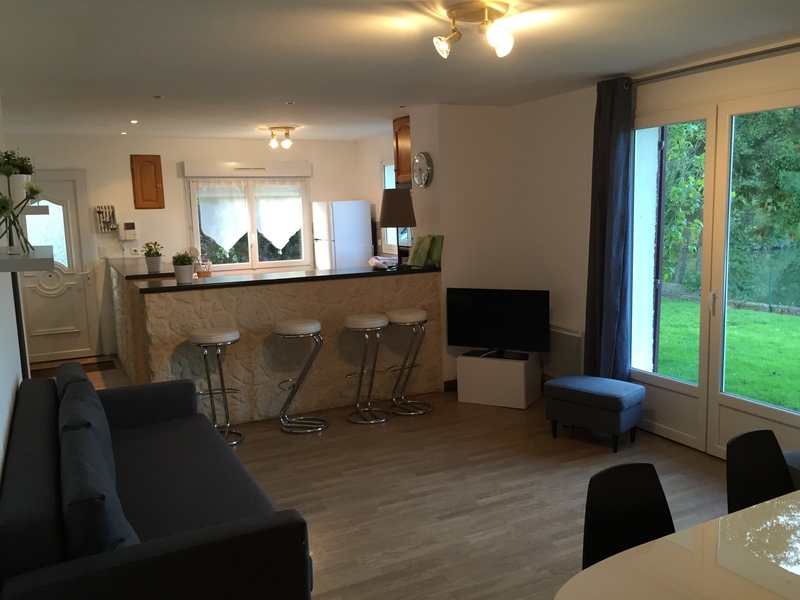 This holiday home can be booked together with swim 12, by 1 or 2 anglers and a maximum of 4 non-anglers. The anglers can put their bivvies and rodpods in the garden in front of the house. At the arrival a deposit of 500€ has to be paid for the breakage cases. Clients have to bring their own sheets and towels, these are not included. 1. Each angler should have a valid and payed confirmation. 2. Fishing is allowed 24 h/day - catch & release. 3. 3 rods per angler. Tents and bivvies should be green and/or brown. 4. not allowed: bent hook, Snab, shock or lead core leaders, and pindas. 5. Feeding, rowing out hook-links and placing markers is allowed with hired boat or own boat. Baitboats are also allowed. Please don’t cross the limits of your swim. The use of a boat is at your own risk. The use of toplead is strongly recommended. 6. Allowed rigs: “carp-friendly” rigs (safety bolt rigs), siple, barbless hooks, Nylon mainline. All hooklinks should be weeker than the mainline. 7. Every angler should have a large landing net min 42” (90 cm) arms, a big unhooking mat, filled with polystyrene balls, min size 30” x 38” (70 cm x 90 cm) and at least 1.5” (4 cm) thick with padded shoulders, Weigh Sling (Large PVC slings only) and desinfectant for treating hook wounds please. 8. The use of carp sacs is strictly forbidden. 9. The mutilation of fish is STRICTLY forbitten. Anglers found mutilating fish will forfeit their deposit, further non-compliance results with being escorted from the lake. These facts will also be reported to the Police (Gendarmerie) who will retain all the tackle until the case is solved. 10. Catch and release the fish. Transport of specimen is forbidden. 11. No caravans or campers. 12. You can drive to your swim to unload and load your tackle, but the cars have to be parked on the designated parking. 13. Please respect the tranquillity of the site, and the beauty of the nature. Please use the containers and the sanitary building with respect. 14. Open campfire is not allowed but camping-gas and barbecues are. 15. 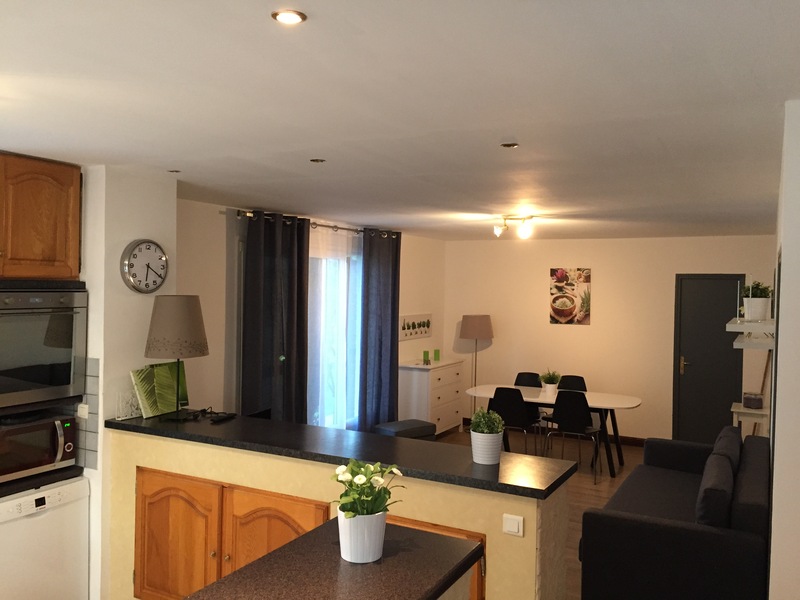 On arrival you will be asked to pay a refundable deposit of 50 euros and asked to sign this contract to abide by these regulations. 16. Arrival between 09.00 h and 11.00 h. Departure before 10.00 h.
Between 21.00 h and 07.00 h it’s not allowed to drive on the site with your car. 17. The bayliff will help you with all your doubts and questions. 18. The general management is not responsible in case of accident, theft, fire or other cases. 19. All damage caused to the “Domain de la Vallée” installations will be charged to the responsible person. 20. These regulations will be signed by each angler to abide by these regulations.